If you are a big fan of the Watchmen movie like I am, you will probably love the following gadget. 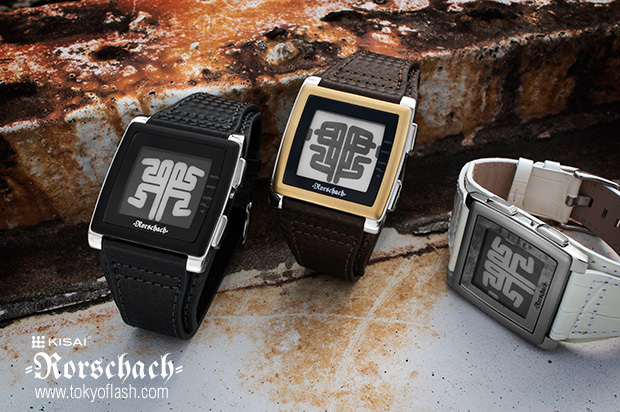 As the name suggests, Tokyoflash Japan have created a digital watch with an unique display that is inspired by the famous Rorschach inkblot test. The Rorschach test was created in 1921 by Swiss psychologist Hermann Rorschach in order to assess the psychological state of an individual by asking him what he could see by looking at mysterious and symmetrical inkblots. 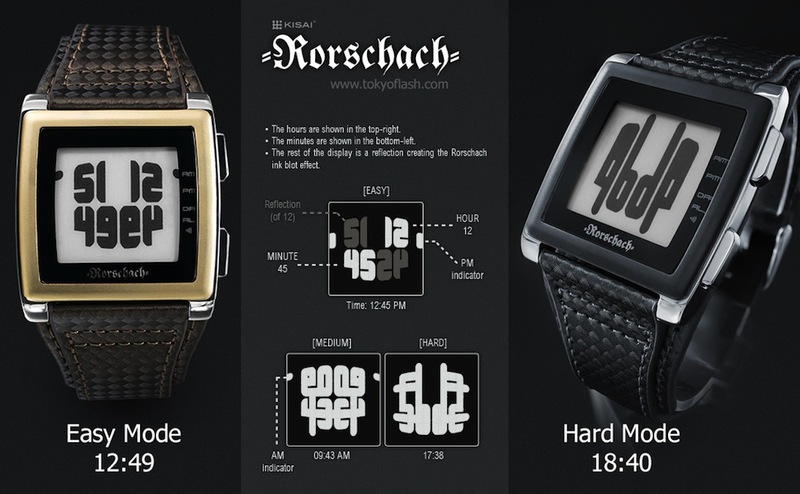 This timepiece uses the same symmetry to hide (with more or less difficulty, depending on the mode) the time on the e-Ink display. This gadget could capture the interest of any of your friends and colleagues and you should let them decipher the meaning of these strange symbols. 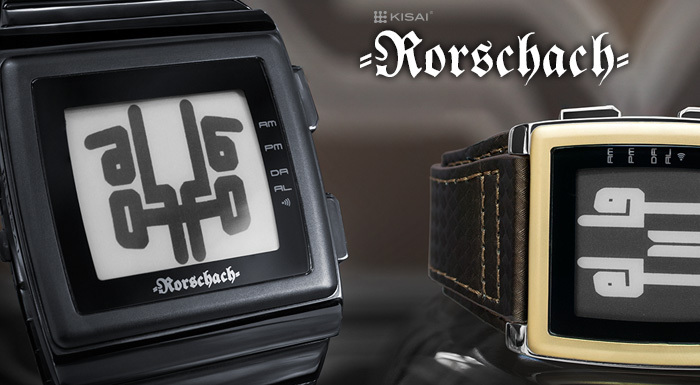 Kisai Rorschach is available in two colors, black and silver, with a stainless steel bracelet or leather bracelet. It is equipped with a standard CR2016 battery and weighs 120 grams or 60 grams (depending on the selected version). It’s only 6.2 mm thick. Although some folks will think that this cool gadget is rather unusual, all the technology and concepts used to create it states the contrary: it’s an unique and appealing device. 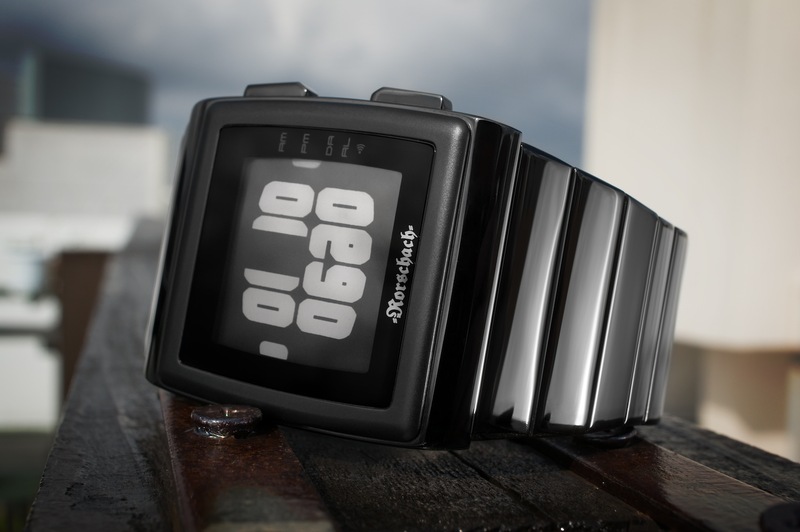 Since it uses e-Ink technology, the time will remain always on and the battery will last longer than any conventional watch. In order to buy this watch, you need to visit the official website. The launch price is $179.